What’s better than a turbocharged, hot hatchback? An Air Lift Performance-equipped, turbocharged, hot hatchback! 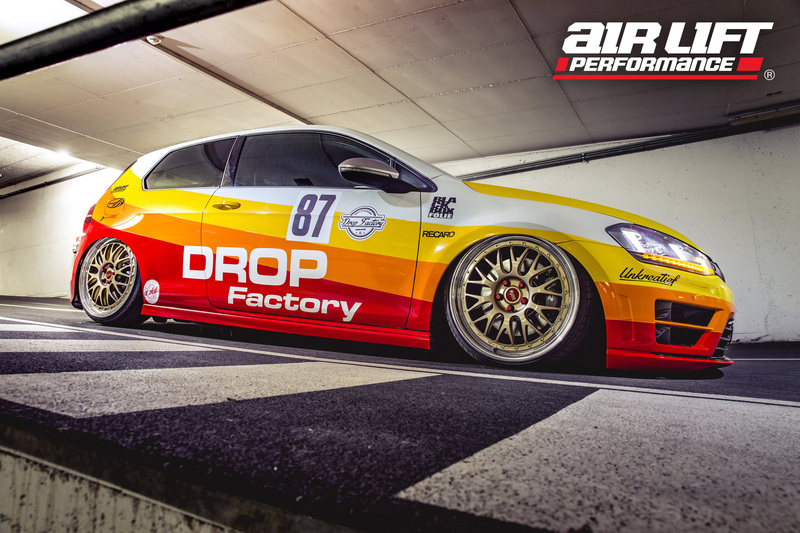 The German tuning-outlet Drop Factory has created one of the wildest Golf R’s on the planet, with a little help from Air Lift Performance. The ride boasts a whole range of tuning goodies, including BBS E88 motorsport wheels, the 3H air management system and a custom RS3-style exhaust, just to name a few. Under the hood, the power is boosted up to 400bhp, while inside, a pair of Recaro bucket seats add to the motorsport vibe. All show and all go, just how Air Lift likes it! We’ll be bringing you a full spotlight on Drop Factory’s Golf R from our recent trip to Wörthersee in Austria, but until then feast your eyes on this awesome HD wallpaper.